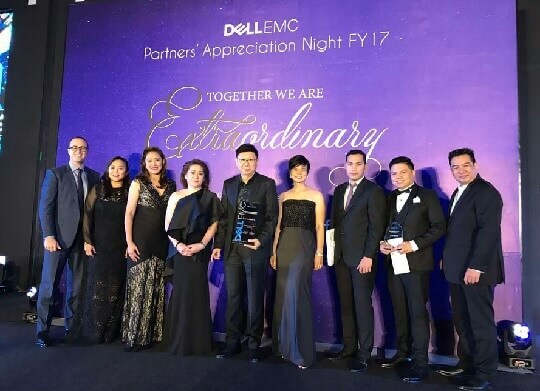 MSI-ECS has proven its dominance in the consumer, commercial and enterprise segments when it brought home all the major distributor awards in the recently concluded Dell EMC Partners’ Appreciation Night. The awards include the Distributor Partner of the Year for Consumer, Distributor Partner of the Year for Overall Business (Commercial), and Distributor Partner of the Year for Enterprise Storage (EMC) segments. MSI-ECS bagged the Distributor Partner of the Year awards for Consumer and Commercial segments as it has posted the highest revenue contribution in both segments. Aside from these, the tech distributor has also posted the highest incremental revenue on Enterprise Storage Solutions in FY17. Apart from sweeping the three major awards, two members of the MSI-ECS Dell-EMC team also received the Product Manager of the Year, and Overall Sales Champion of the Year awards.